Abraham Lincoln grew up in the wilderness. Abraham Lincoln became a lawyer. Abraham Lincoln was known as Honest Abe. Abraham Lincoln led the country to victory in the Civil War. Abraham Lincoln ended slavery in America. During the Battle of Five Forks President Abraham Lincoln was stationed on a barge located at the mouth of the Appomattox River where it empties into the James River.He was a bit more than 50 miles from the capital of the confederacy at Richmond, Virginia, and just down river from the city of Petersburg. From his river station, Lincoln got the news of the battles in Dinwiddie county at the end of March quickly. He approved the plans of his generals to attack the Five Forks intersection on April 1st. Lincoln was pleased with the news at the end of the day, that the confederates had been routed and were fleeing west. Ten days later, at Appomattox, General Robert E. Lee of the Confederate Army surrendered his sword to General Ulysses S. Grant of the United States Army. When he was still a boy, the family moved to the wilderness of Indiana. He lived on a farm. He learned to read and write in school. He learned about the country and the world by reading many books. Abraham Lincoln moved to Illinois. He studied hard and became a lawyer. He was honest in the courts and with his clients. Abraham Lincoln was known as Honest Abe. Abraham Lincoln liked political life. He started running for public office when he was in his twenties, and served in the state legislature in Illinois. He liked the Republican Party and ran for president. He was elected President in 1860. 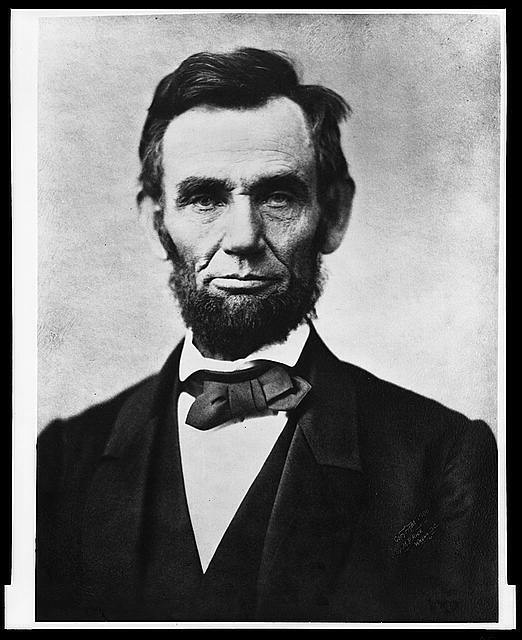 Abraham Lincoln was the 16th President of the United States. Many people did not like him because he was not rich or a gentleman. He chose his friends and helpers carefully. In 1861 the South started the Civil War. They wanted to start their own country. Abraham Lincoln wanted to end the Civil War. He wanted the country to stay one nation. In 1863, Abraham Lincoln freed African-Americans from slavery. The South surrendered in 1864. The war ended with a Union victory! Abraham Lincoln planned how to bring the South back into the union. But, Abraham Lincoln was killed while he was watching a play in 1865. John Wilkes Booth shot him because the South had lost the Civil War. Lincoln's plans for the rebuilding the south died with him. Page created August 4, 2001. Anne Pemberton. Updated Sun, Jul 22, 2012. AP.